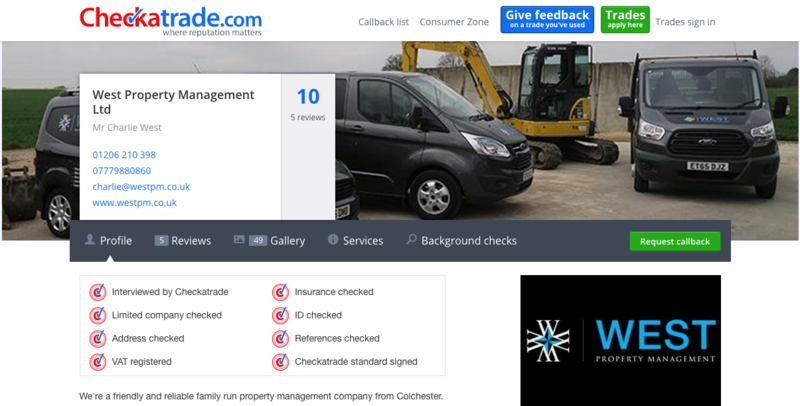 West Property Management - We're Checkatrade Approved! We're incredibly pleased to announce that we are now officially Checkatrade verified. Checkatrade are the ultimate approved online directory for businesses' in the trade industry. We're proud to have our profile listed on their website, including images and reviews from a selection of our clients'. All businesses' listed on the Checkatrade website must abide by their high industry standards and show a continuous commitment to delivering high quality service. Take a look at our full profile here.